I just re-listened to it again after many years and I agree that it still holds its charm. I wanted to have an adventure like Claudia and Jamie did so bad. Believe it or not I've never read this one! I'll have to some day. It still holds up to today's readers, though. Our tween book club at the library read it last summer and they loved it. They even made a storytube video of a reporter interviewing the characters after Claudia and Jamie return home. They had a little trouble with some of the historic stuff, like the Automat, but fortunately there's an internet full of photos, so they could see one. They thought it was pretty clever of Claudia and Jamie to eat at a restaurant where no one would notice them (no wait staff) and they could pay with change. Oh, I totally need to reread this one! I can't even remember much about the story. 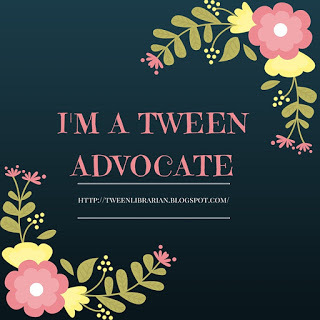 I've got my Tween Tuesday post up. I, too, LOVED this book when I was younger, and I wanted desperately to go to the Metropolitan Museum of Art! This is one of my all-time favorites too! I also loved the idea of living in the Met (still do, actually)...just a great book. I feel like I must have read it at just the right age too, because I was completely enthralled with the whole thing. I am looking forward to re-reading it now! This was one of my favorites as a kid too. My fifth grade teacher read it aloud to the class, and I was entranced. Will have to read it again sometime soon!